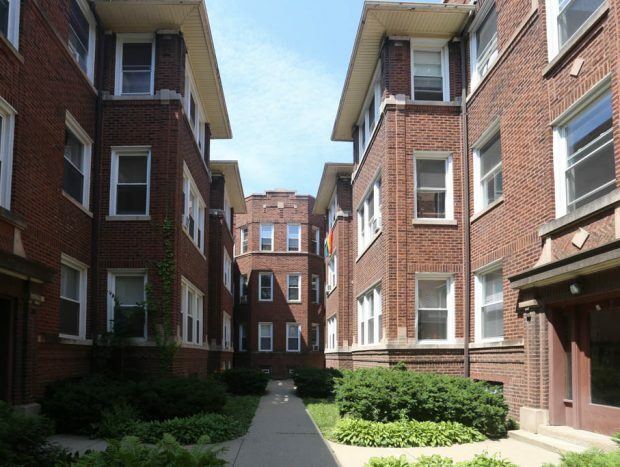 Pretty 3 story Courtyard building in Andersonville! Remodeled apartments. Modern baths many with clawfoot tubs. Decorative fireplaces. Vintage trim throughout. High ceilings. Big windows. Pantries. Shared back decks. Public Transit: Argyle Red line; Clark Street bus. Lawrence Bus. 1 mile to Ravenswood Metra. Street parking.